The boys are back and better than ever with a brand new show and new content. The first discussion is the odd tweets, and the doctor’s visit of free agent tight end Jermichael Finley, and if they think the tweets or the release of Victor Aieywa means anything. 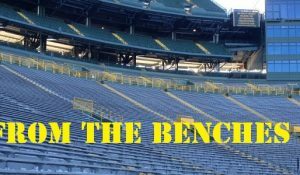 Following that they go Behind the Bench with a preview of Ross’ upcoming series on Packerstalk.com discussing the top training camp battles and they pick their favorites. After that discussion the boys open a new series where they will discuss Packers history of the last 25 years. This week’s topic was their favorite transaction from the eras of Wolf, Sherman, and Ted Thompson. 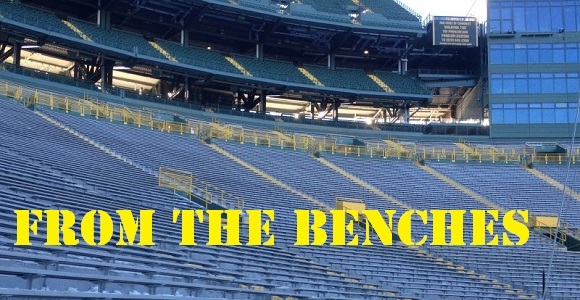 This entry was posted in From The Benches, Packers 2014 - 2015 Season and tagged from the benches, Jemichael Finley. Bookmark the permalink.